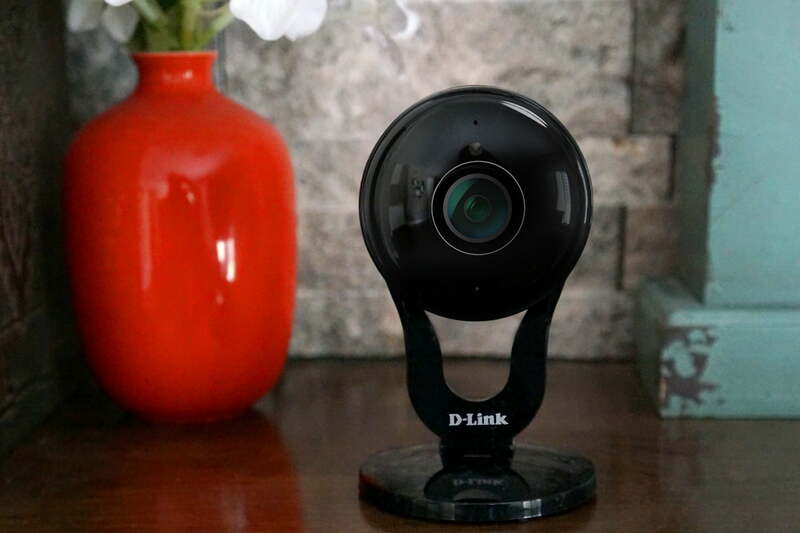 D-Link’s latest home security camera can show you everything happening in a room without having to pan, tilt, or add an angle from a second camera. That’s because it features a hemispherical, 180-degree field-of-view, the widest lens currently available from a fixed security camera. Enigmatically called the DCS-2530L, the new camera also features custom de-warping technology that produces an image with far less distortion than what a 180-degree lens would normally capture. Video is recorded in the compressed h.264 codec and can be live-streamed through the Mydlink app on iOS, Android, and Windows mobile devices. The camera uses MicroSD storage with support for card capacities up to 128GB. D-Link claims a full week of continuous, Full HD footage can be saved to a single 128GB card in, although just at five frames per second. If that’s not enough for you, you can add the optional Mydlink Camera Recorder, which allows for two USB hard drives of up to 4TB each to be connected. There’s no cloud storage support. As a security camera, the 2530L naturally incorporates various other features, such as night vision (up to 16 feet) thanks to built-in infrared LEDs as well as both sound and motion detection. It can send push notifications to your phone to alert you when something is going on in your home. To aid in setting up the camera, it also includes a Wi-Fi signal locater, which helps you find the best place to install the camera for the most reliable internet streaming results. The lens module can also rotate a full 360 degrees within its mount to remain level in any position. The camera can be plugged straight into the wall or even powered via a portable USB battery. We received a unit early for testing, and the camera has a simple design not unlike the Nest Cam. You can place it on any flat surface (the camera head tilts up and down), or screw it against a wall. The setup process is straightforward – at least, in theory. After you plug it in, the Mydlink app guides you through the process of connecting it to your home’s Wi-Fi network (the app first establishes a direct Wi-Fi connection by scanning a QR code on the camera or included info card and, if using iOS, entering the SSID and passwork; it then instructs you on connecting the camera to the Wi-Fi network.) If successful, the camera will join the Wi-Fi network and you can remotely access the camera from anywhere, through your phone. We managed to get it set up, but not without hurdles. We first attempted the process with a Samsung Galaxy S7 Edge, but it refused to connect to the camera. We then tried an Apple iPhone 6S, but it couldn’t detect the camera no matter how many times we retried the process. Theorizing that the first connection attempt with the Galaxy S7 Edge may have messed something up, we hit the reset button on the back of the camera. After then, the app was finally to detect the camera, and was able to complete the process. However, the setup procedure took a very long time before we could use the camera. The Mydlink is uncluttered and simple to use. You can see a live-view image, or play back content if you have a MicroSD card inserted. You can switch between 1080p, 720p, or 480p, mute the microphone, take a photograph (which is stored in your camera roll), set the white balance, or pull up more info. In the corner of the image is a time stamp. In terms of image quality, the camera is using a 2-megapixel CMOS sensor. It’s fine for surveillance, but don’t expect sharp image quality (the Nest Cam uses a 3-megapixel sensor, in comparison). Like an action cam, you get a fisheye field-of-view, allowing you to see as much of the room as possible; you will still see the concave edges, despite the de-warping tech. However, the app does something weird: In auto white balance, it constantly goes into a black-and-white night view, even when it’s daytime. To work around the situation, we found we had to manually choose the day mode, and then log out and log back into the camera, to bring back the color day-view. The DCS-2530L is available now at a price of $160. Specs wise, its closest big-name competitor is the Nest Cam Indoor, which retails for $199, has only a 130-degree camera, and lacks local storage.